It has been some time now that we have been working on our carrot cake. We supply it in different forms – from a rectangular slice, a full bakers slab to a carrot cake tray cake pre portioned into 15 long rectangle pieces. Of recent, we have made some significant changes to all three products. 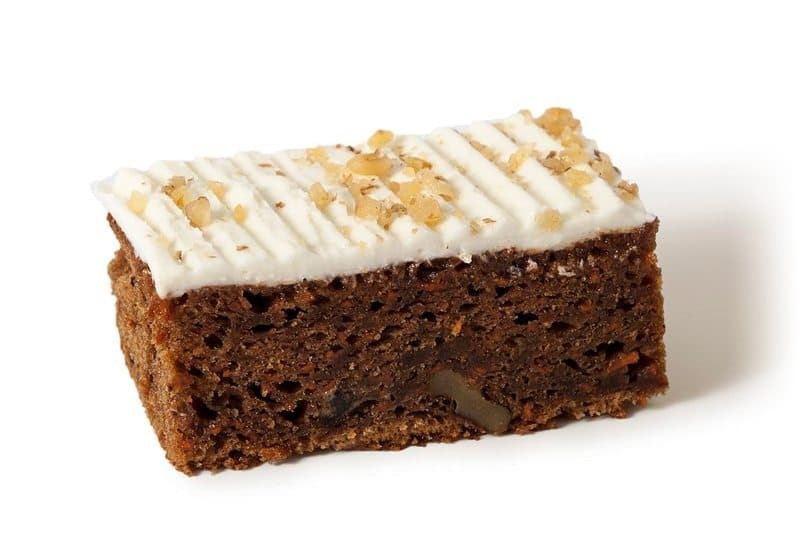 Our carrot cake tray cake base has a more define richness, colour and texture now along with a cream cheese topping sprinkled with pumpkin seeds, apricots, sultanas and walnuts. Our slice has also had a makeover to the base adding a lot more stability to the product whilst keeping the lovely icing that many customers have grown to love. The slice is also suitable for ambient display whilst the tray cake needs to be stored in the fridge. Request a sample today by clicking here.